CSL Welland arrived at Montreal on Jan. 2, 2015. The new addition to the Canada Steamship Lines fleet, part of their new Trillium Class of bulk carriers, was built at the Yangfan Shipyard and launched at Zhoushan, China, on Jan. 25, 2014. The ship was named in a ceremony on April 24, 2014, and the vessel sailed for Canada on Nov. 6, 2014. En route to Canada CSL Welland passed through East China Sea, traveled across the Pacific and through Panama Canal. The 740-foot-long by 78-foot-wide vessel will be able to carry 36,100 tons of cargo at full draft. It is equipped with IMO Tier II-compliant, electronically-controlled, slow speed diesel engines and, like the other Trillium Class vessels, has the latest environmental and safety technologies. They will use less fuel, reduce emissions significantly and provide overall operational efficiency to the benefit of customers and the environment. 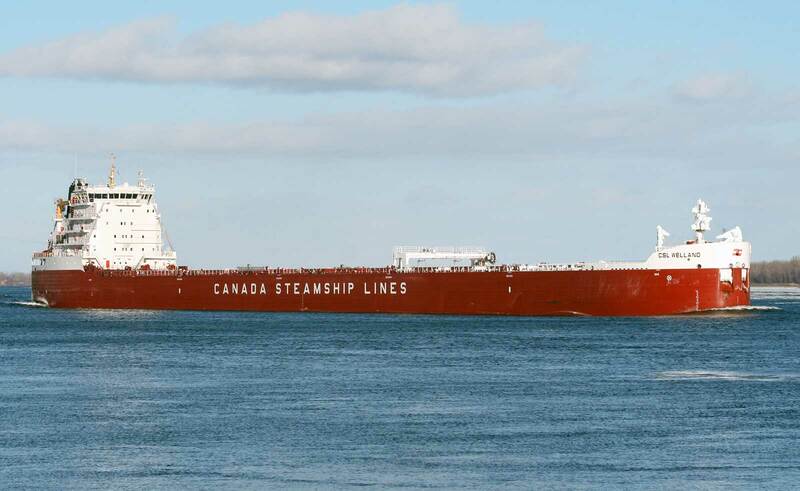 CSL Welland is a sistership to the earlier award-winning Baie St. Paul, as well as Whitefish Bay, Thunder Bay, Baie Comeau and the most recent, and final addition to the CSL Great Lakes fleet expansion, CSL St-Laurent. CSL Welland will be active in the grain and ore trades and is expected to generate considerable publicity when it passes through its namesake Welland Canal for the first time in April 2015.